Garrett Leather is the first choice for interior designers, upholsterers, and manufacturers across the globe. Their customers span numerous industries, including private jets and corporate aircraft; contract, hospitality and residential design; automotive, yacht, and motor coach interiors, and more. 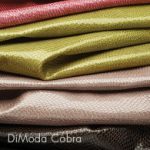 While there are many options for upholstery materials, leather is nature’s ultimate fabric. Genuine leather has withstood the test of time, providing aesthetic beauty, rich texture, and lasting durability for furniture, wall coverings, and area rugs. Garrett Leather consistently delivers superior quality products and professional service. Garrett Leathers for upholstery and drapery is available for purchase here at #1 Fabric Co. Call 877-FAB-2-YOU for your best buy price on any current Garrett Leathers.- Or fill out the price quote form for an email quote on any fabric in the entire Garrett Leathers line up. 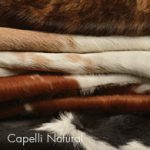 The #1 Fabric dealer outlet shop offers all of Garrett Leathers at or near wholesale discount prices. Samples available upon request. Are you looking for a specific pattern from Garrett Leather? All Garrett Leathers are available for purchase through #1 Fabric Co.
#1 Fabric Co makes decorating with designers like Garrett Leather affordable. Buy the same decorator textiles the professional interior designers buy at the lowest possible sale prices. Note: Our fabric selections are NOT factory seconds, over-stock, remnants or discontinued fabric. 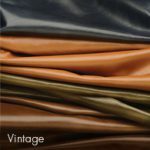 Your pricing from #1 Fabric store will be on a new, current, first-run Garrett leather at the lowest possible price.